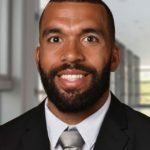 As a former Ohio State football player, Marcus developed a special interest in sports medicine and helping the athlete throughout the entire continuum of care: injury prevention, return to sport and performance enhancement. He strives to promote healthy, active lifestyles through equipping patients with the tools they need to achieve their optimal functional outcomes. His clinical interest is geared toward the analysis of sports-specific and fundamental movement patterns in an effort to find the most effective interventions to help maximize our patients’ movement proficiency and efficiency, subsequently decreasing their injury risk. When he’s not in our Grove City clinic, Marcus enjoys Buckeye football tailgating, watching movies, playing board games and taking on new fitness endeavors. Mitch is a board certified specialist in sports physical therapy, a certified strength and conditioning specialist, and a USA Weightlifting level 1 sports performance coach. He has a passion for strength and conditioning and sports performance and is looking to grow these areas in the field of Physical Therapy. Mitch gained experience in sports physical therapy with the NHL’s Carolina Hurricanes from 2014-2016 and with Team USA at the 2015 World University Games. He has also been a strength coach at the University of Dayton, Bo Jackson’s Elite Sports and Donskov Strength and Conditioning in Columbus. 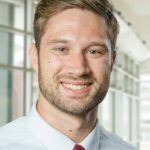 At Ohio State, Mitch is a member of the Barbell Medicine team and Endurance Medicine team. He specializes in performing video analysis of power and Olympic lifting technique, as well as video analysis for running gait. He has a clinical interest in rehabilitation of the overhead athlete and return to sport following ACL reconstruction. He is certified in dry needling and incorporates this into his treatment sessions. He is also certified in blood flow restriction therapy. He currently practices at Bo Jackson’s Elite Sports in Hilliard where he implements screening, prevention, recovery and sports performance strategies for their athletes.